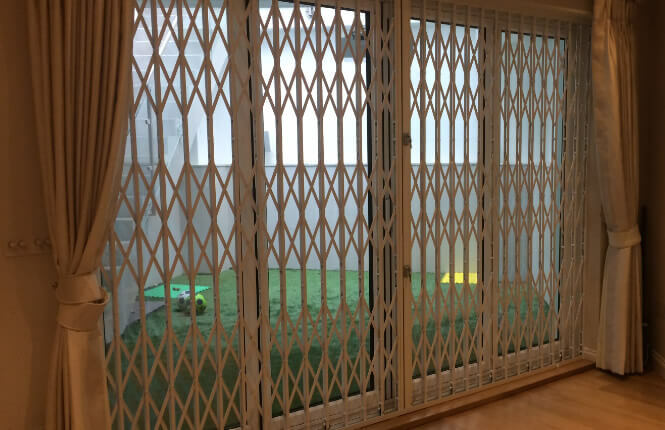 If you're fortunate enough to have patio doors at the rear of your property you will enjoy the easy access they grant you to your garden. 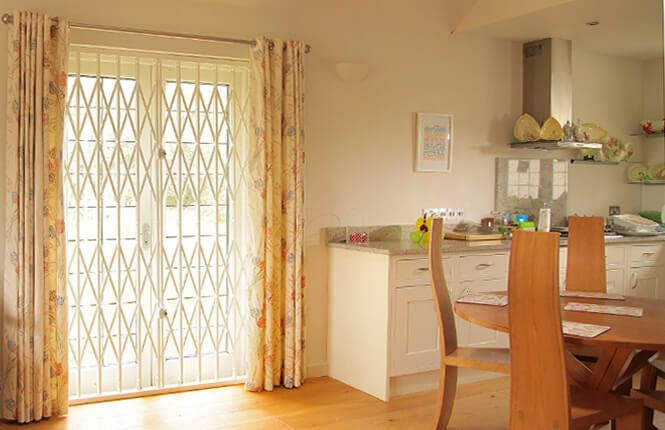 However, patio doors can also provide an attractive route of access to prospective burglars if they are not properly secured, and sure enough they are one of the most popular points of entry for criminals looking to gain entry to a property. 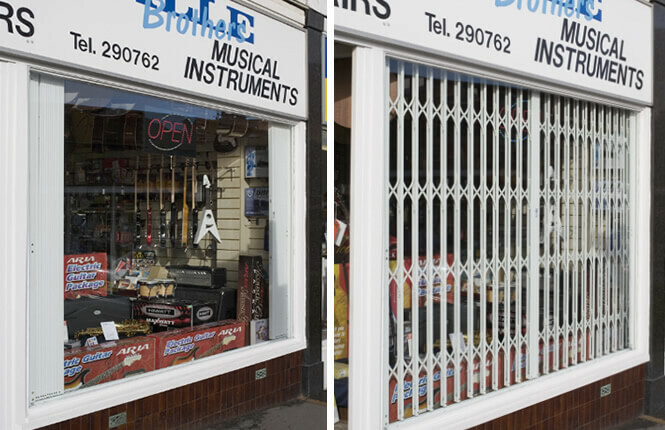 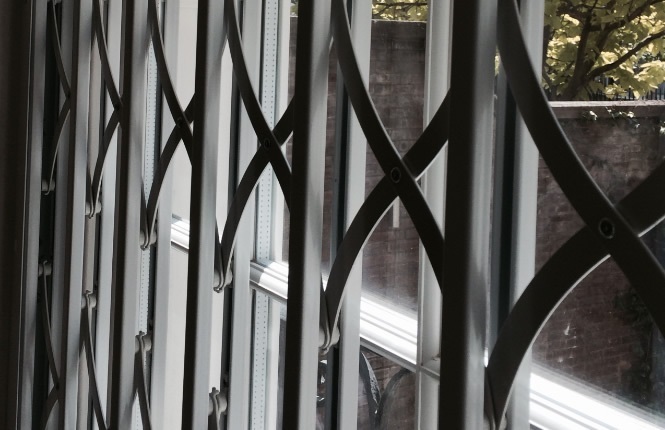 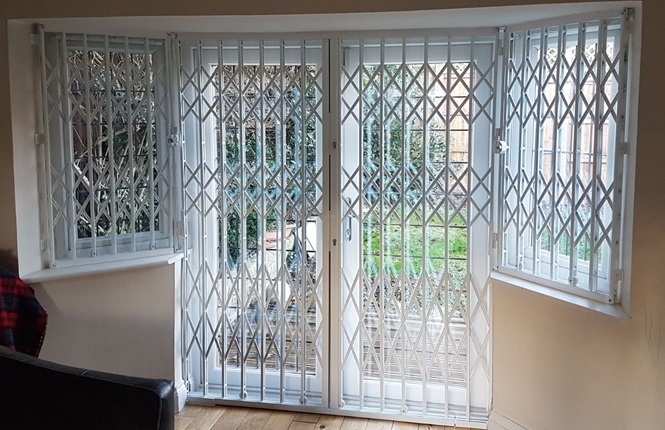 To combat this problem, here at RSG Security we offer a range of security grilles that can protect this area of your property. 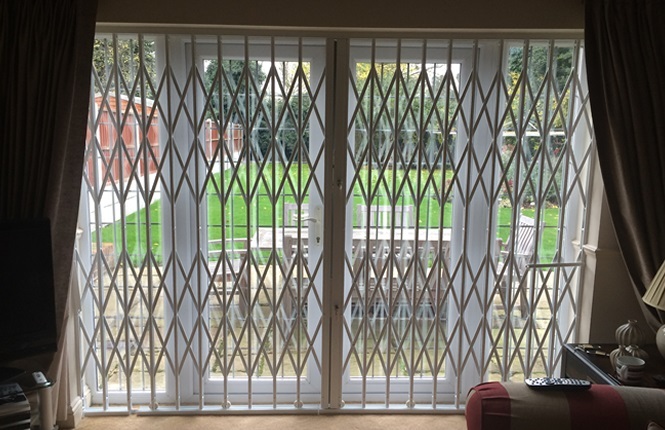 Given the aesthetic purposes your patio doors play you won't want to install any security measures that will damage this look, however the RSG1000 patio door security grilles are slim designed with no side-tracks to limit their visual impact, while complimenting your window security perfectly. 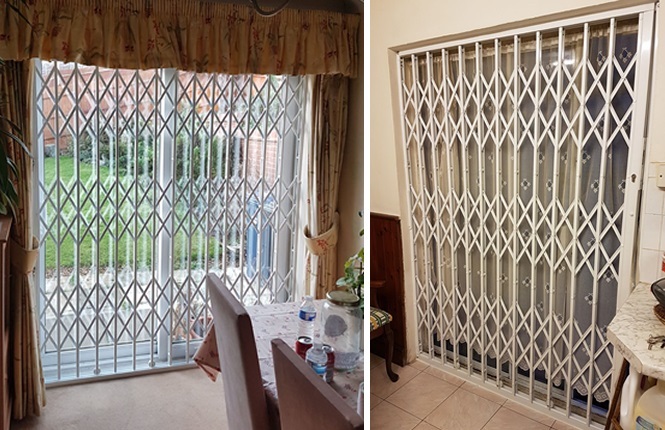 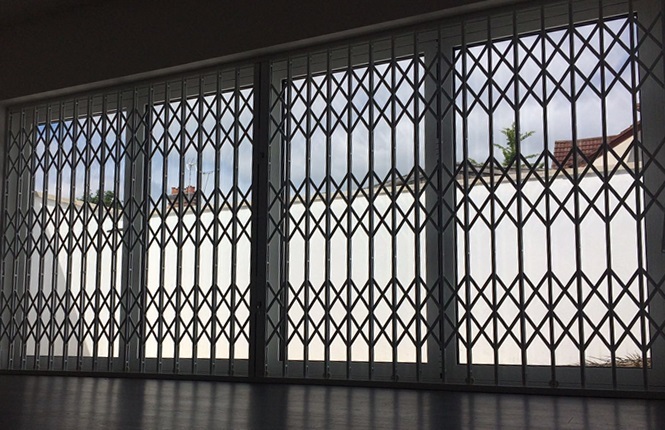 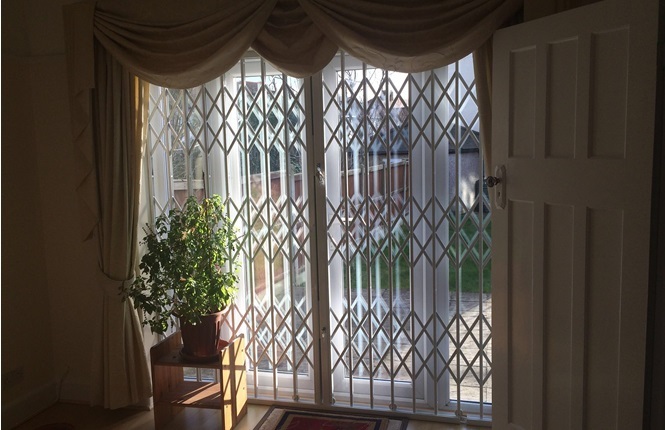 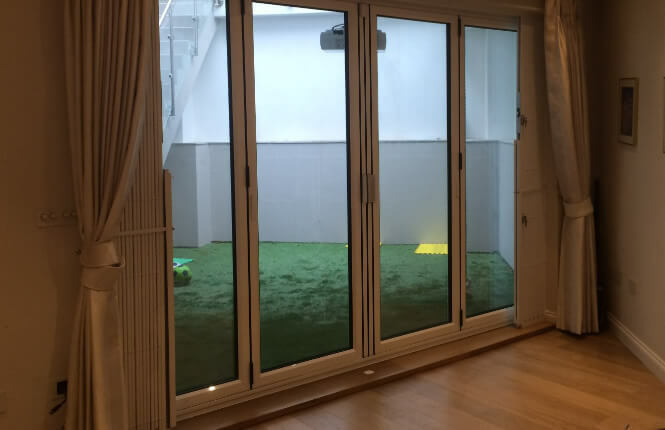 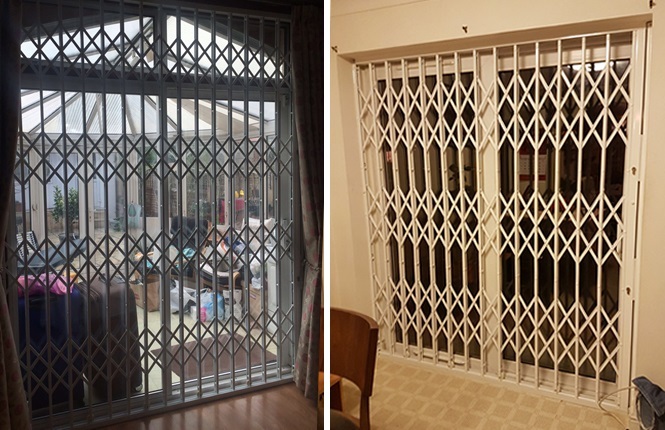 Our RSG1000 retractable grilles and RSG1200 collapsible grilles can even be shut and locked when your patio doors are wide open, ideal for fresh air, while they are barely noticeable when in the stacked position, usually behind blinds or curtains. 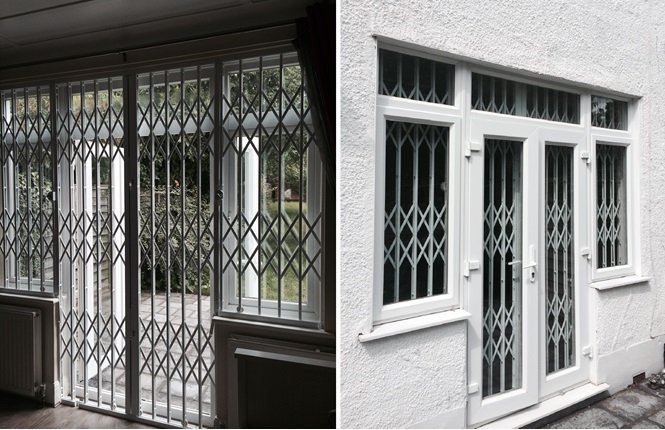 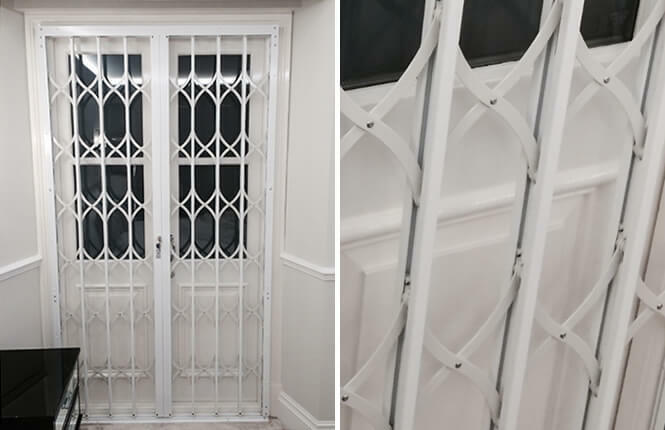 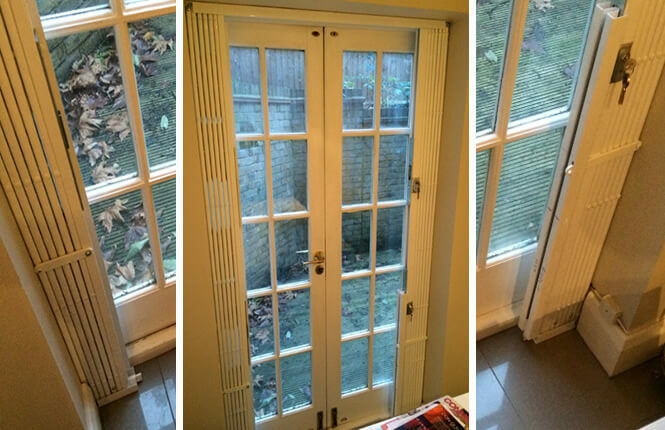 If you'd like to find out more information regarding our patio door grilles you can give our team a call on 0208 123 1088.